Inquiry-based approach to learning emphasises the importance of developing thinking and problem solving skills in students. As a learner-centered approach, inquiry-based approach leads students to ask questions and to use these questions as their guide in gathering and processing data they find. The gathered data is then used to solve problems and generate conclusions. Inquiry-based learning takes several forms: analysis, problem solving, discovery and creative activities. In all these forms, teachers may guide the learners or may even let them freely explore the problems they have and to solve them on their own. Inquiry-based approach empowers students as they use their own questions as drivers to their learning. Teachers facilitates the learning activities, often times providing effective and efficient feedback as learners progress through the various learning activities. A lesson or unit that follows a inquiry-based approach can take advantage of the use of tech tools during the questioning, investigation, problem solving, and learning demonstration phases. The 5Ds Framework can support a meaningful and purposeful use of tech tools in these different phases. The key stages (Dip-Deepen-Do-Distribute) of 5Ds Framework fits well with the various phases of inquiry based-learning. The Discern stage wonderfully reminds the teacher to create opportunities for the giving of feedback to the learners as the lesson proceeds and the learners progresses. Take a look at this sample unit plan that uses both the 5Ds Framework and Inquiry-based learning to create authentic, independent, and student-centred learning experiences: More Fun in Visayas Islands: An Inquiry and Investigation. The 5Ds Framework offers five aspects of learning and teaching where technology can be integrated. As the teacher plans for each lesson, the framework becomes a reminder for the teacher to plan and prepare well for the lesson. Technology-integrated lessons, in reality, require more careful planning and dedication. Shown below is an instructional design planning guide for tech-integrated lessons or unit. The instructional design guide is neither prescriptive nor limiting. It is design to accommodate the various lesson planning frameworks or styles used in various schools or districts. 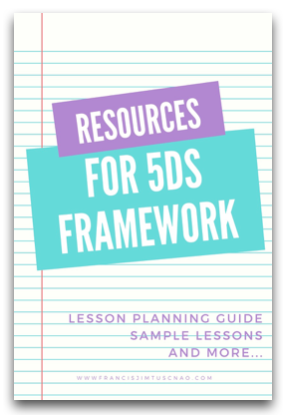 The 5Ds Framework for instructional design, instead, helps ensure that the tech-integrated learning activities in the different part of the lessons are carefully planned and that tech tools are meaningfully and purposefully used. Moreover, the instructional design guide also highlights the importance of giving feedback throughout the learning process. Hence, guide questions to help teachers planned feedback-giving mechanism using tech tools are also in place. Last, the instructional design framework, eventually, through the use meaningful and purposeful use of tech tools, supports the teacher to lead students from passively consuming content or knowledge to critically interacting with the content. Eventually, this leads them to actively and reflectively contribute to content creation or knowledge building and sharing. In the end, 5Ds Framework help make learning more dynamic through the careful planning and use of tech tools in class. Take a look at the planning guide and the guide questions, which serve as support or reminders for learning and instructional designers. Copyright: Francis Jim Tuscano (Manila, Philippines, 2016). 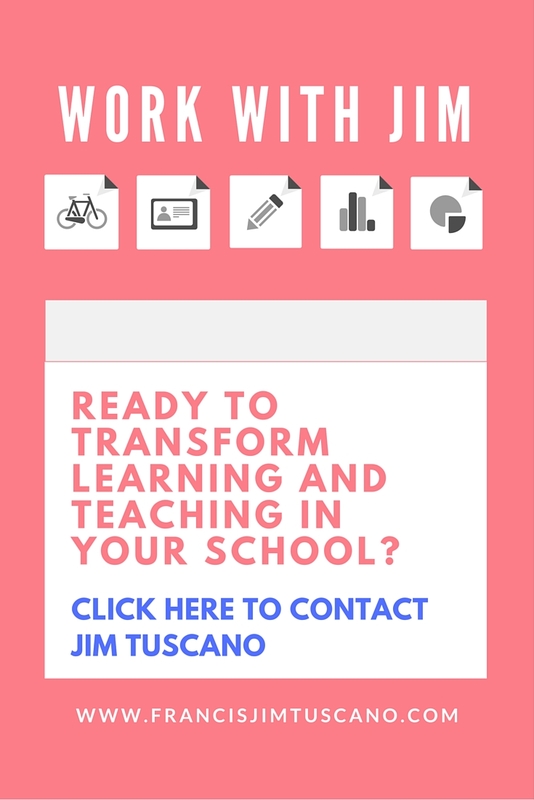 Educators may use this lesson planning guide, provided that information of the use is sent to Jim. Full credit to Jim is also expected.